She'll make it to her next ball in plenty of time, because she won't have to wait for a fairy godmother to deliver her the perfect gown! 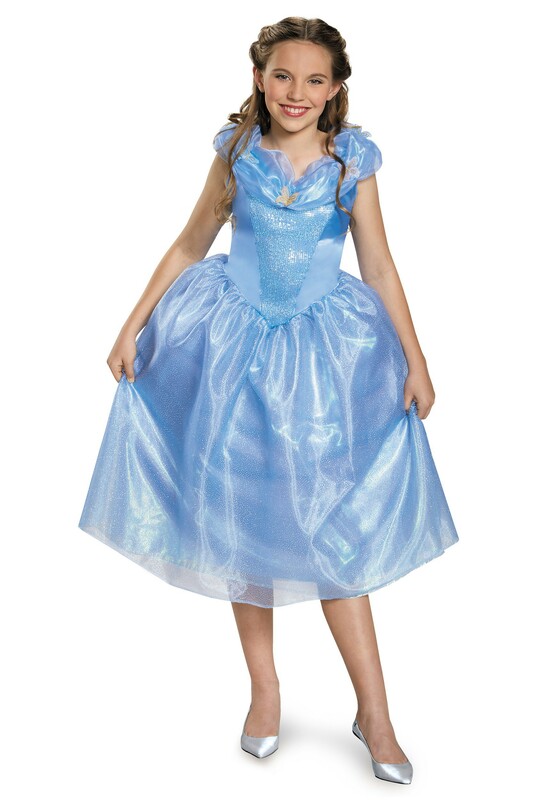 This Tween Cinderella Movie Costume looks just like the dress worn by Ella in the 2015 live action film version of this classic tale. It requires no special magic, nor do you need to have cruel stepsisters destroy a different dress to get this one. All that's needed is a love of happy endings and the desire to dress like a princess-to-be for a night!